Sea-Country is Tony Smith's name for that sprawling and magical world on London's doorstep where land and water alternate twice each day; a world of wonder accessible to those of a shoal-draft persuasion, prepared to take their time and respect the ways of nature. 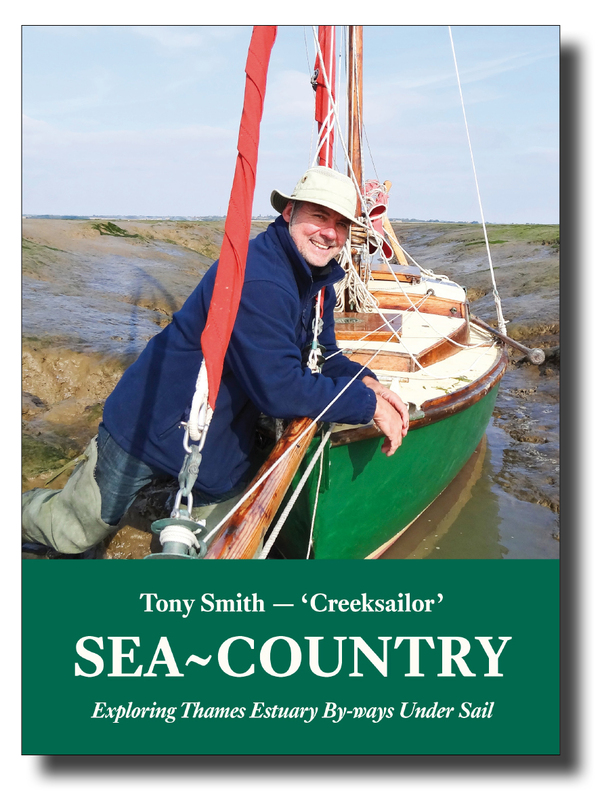 Tony is well-known to readers of his Creeksailor blog, and from a base in his beloved River Blackwater—which he knows intimately—he takes us to London in the west, Kent in the south, and Suffolk in the east to acquaint us with those shorelines and some of the people, occupations and curiosities to be found there. Leigh cocklers, the only lighthouse in London, abandoned forts, the Broomway, a Thames Bawley—these and more are all here. Tony's trusty vessel in these journeys is the renowned 16ft gaffer Shoal Waters, made famous throughout 50 years of cruising by the late and redoubtable Charles Stock. ISBN 978-1-907206-25-2; 216 x 156mm, 136 pages, mono photos, 8 pages of colour plates. Softcover with sewn binding, cover flaps and matt lamination.